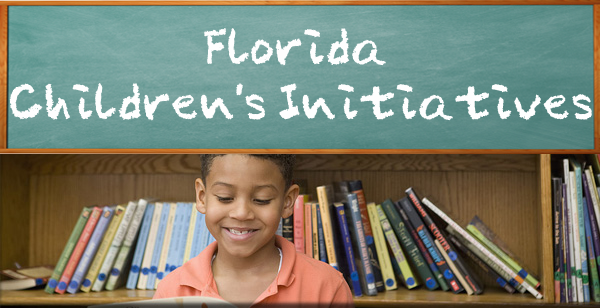 Reports and documents relevant to the Florida Children's Initiatives are posted here for public review. This summative evaluation reviews the progress of the implementation based on data compiled through July 31, 2015. The report is intended to provide cumulative information for the final outcome evaluation. The report focuses on the three program areas: the Block-by-Block, Peacemaker Program and SMART or School Readiness Programs. Much of the data for this summative report was obtained by the Florida Health Care Coalition (FLHCC). To evaluate PKZ, FLHCC looks at: Number/demographics of youth served by date/service type/frequency/provider. Outcome reporting at the individual participant level. So, for instance, PKZ tracks and compiles metrics for youth who receive wrap-around academic support via PKZ's Student Advocate Model including grade level proficiency in math/reading; grade point average; graduation status; and enrollment in post-secondary education. Impact/outcomes at the neighborhood level including number of births to girls under age 19 and juvenile arrests in Parramore; percent of Parramore children performing at grade level in reading/math; etc. To this end, FLHCC asks the following impact questions: How are the Parramore youth performing in school? Has juvenile crime decreased in Parramore? Has family violence decreased in Parramore (child abuse and neglect, specifically)? Has the teen birth rate decreased in Parramore? The report is based on a mixed method analysis of the strategic planning process of the Miami Children's Initiative. Data collected include process data of meetings held, documents received, surveys completed and other information to track the ongoing tasks of the planning effort. This report addresses the planning process and provides an empirical analysis of the strategic plan. The majority of data is qualitative, meaning narrative or contextual data, with some quantitative data used in tracking the processes. Multiple data sources informed the conclusions and recommendations presented throughout this report. The Miami Children's Initiative Community Strategic Plan identifies the strategies and priorities for implementing the Miami Children's Initiative. The planning process began in February 2009 and was completed in November 2009. The plan presents the development process, the diverse groups participating in its development and the strategic objectives for the initiative. Eleven Planning Team Workgroups have been meeting regularly since mid-May, and their recommended themes and strategies to be included in the community plan are found in summary form in this document. Their discussions were enriched by a number of focus groups with residents of all ages.